German art historian Eike Schmidt graduated in medieval and modern art history in Heidelberg, where he also received a research doctorate with a thesis on “The Medici Collection of Ivory Sculptures in the Five and Seventeenth Century” . 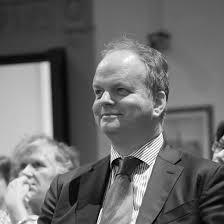 Eike Schmidt is the current director of the most visited museum in Italy: the Gallerie degli Uffizi. After spending a long time in the United States, before his appointment in the important Florentine museum, he was also curator and head of the department of sculpture, applied arts and textiles of the Minneapolis Institute of Arts.